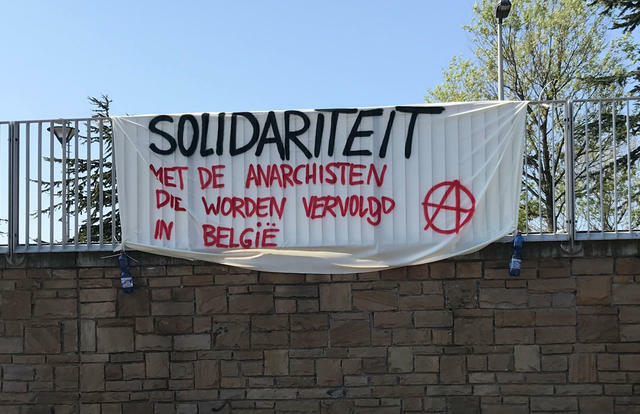 Today we have hung up four banners at various locations in The Hague, the Netherlands, in solidarity with the anarchists being prosecuted in Belgium. Hundreds of flyers were also thrown around. 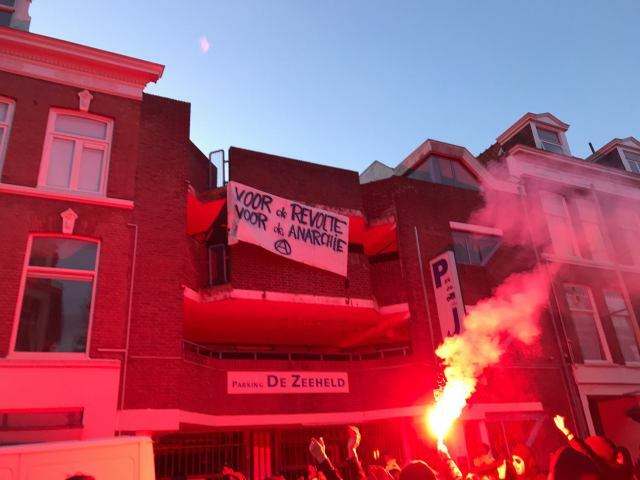 On 19 November 2016 about 250 people gathered on Kerkplein to demonstrate from there against the repression that has been spreading in recent years against anarchists and anti-fascists in The Hague and beyond. Yesterday morning, activists from the autonomous feminist initiative Kattenkwaad in The Hague, took action against the sexist outcome of a court case in Ireland. They went to the embassy of Ireland and decorated it with thongs! On Saturday November 3 700 people demonstrated under the slogan: ‘No Human Is Illegal’ in the center of The Hague, Netherlands. Refugees traveled to the demonstration from four state refugee lager, including many children from family locations. The Hague, Netherlands: Today the police decided to change the gathering point of the No One Is Illegal demonstration taking place this Saturday. The new starting location is now Carnegieplein (in front of the Peace Palace). The police motivated their decision by claiming the turn-out for the demonstration would be higher than expected. We have been informed by our lawyers that the Public Prosecution will start summoning people to court who took part in the anti-repression demonstration in November 2016 in The Hague. Some people have already receive subpoenas to attend court. 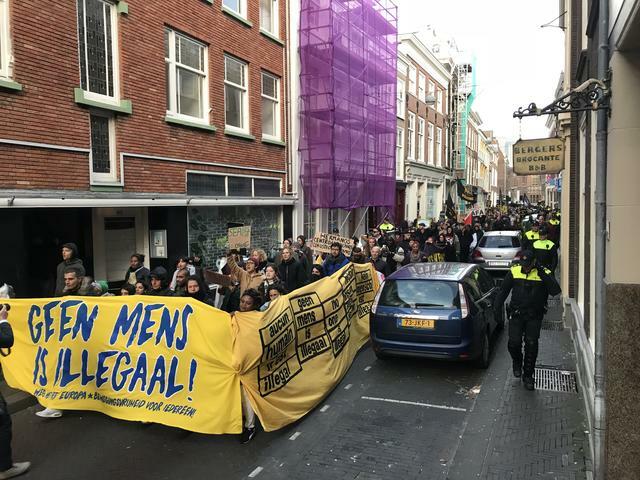 The Hague, November 3: No one is illegal! Down with Fortress Europe! Freedom of movement for all! 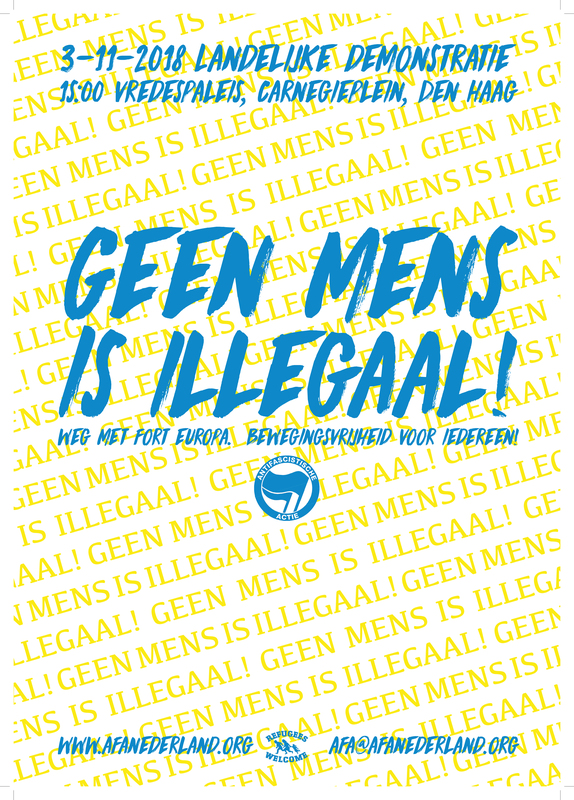 On Saturday the 3rd of November Anti-Fascist Action (AFA) will organise a nationwide demonstration in the Hague under the motto: ‘No one is illegal. Down with fortress Europe. Freedom of movement for all.’ Europe has closed its borders to refugees and migrants. That is why we want to make a clear statement with as many people as possible against fortress Europe and its migration policies. 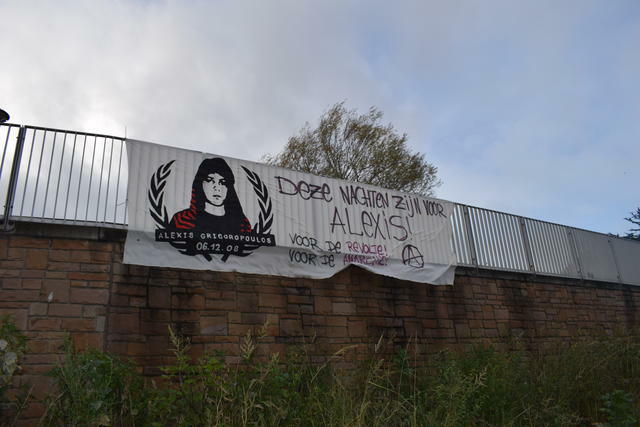 Continue reading The Hague, November 3: No one is illegal! Down with Fortress Europe! Freedom of movement for all! 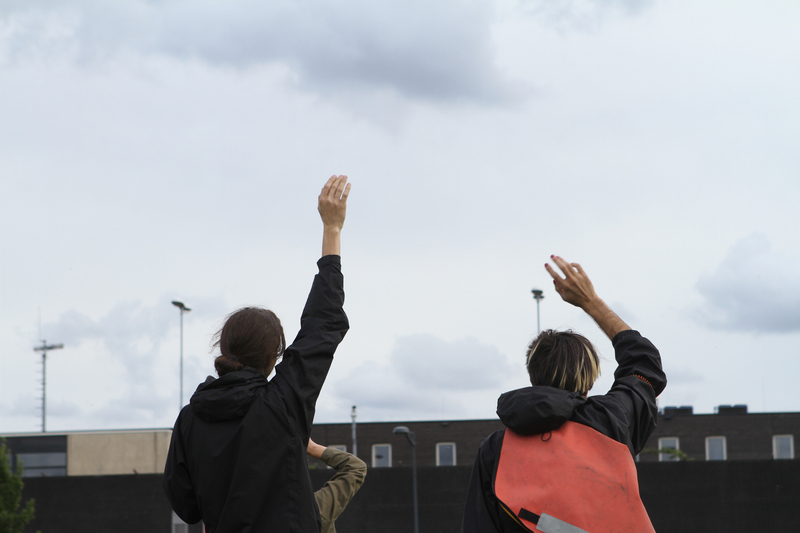 On the 8th of September around 40 antifascists held a solidarity demo at the Rotterdam/The Hague (Netherlands) Airport deportation prison.